Getting to McCormick Place is easy and convenient. 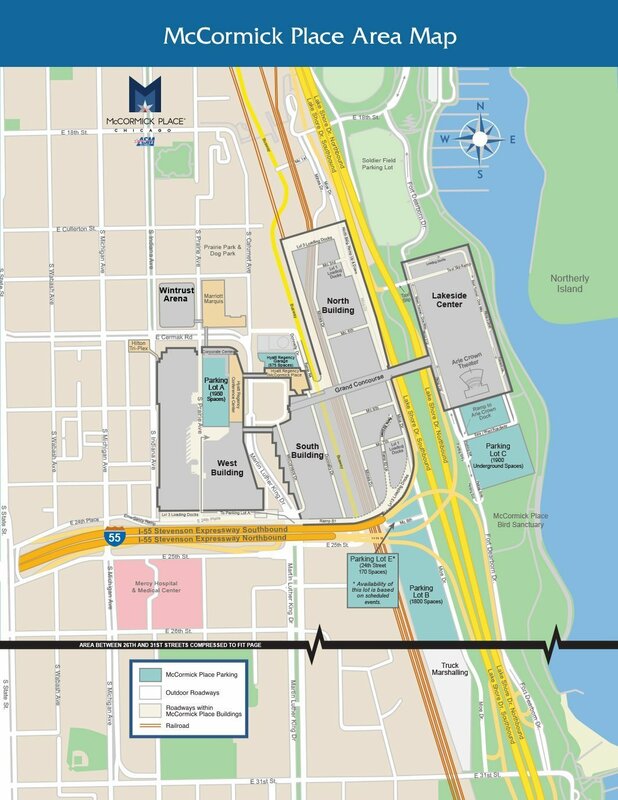 There are three main parking lots on the McCormick Place campus. All are in close proximity and walking distance to our convention complex. Click Transportation Gates to view pickup/dropoff areas. Click to view any of our printable maps. Get "Door to Door" driving directions to McCormick Place.